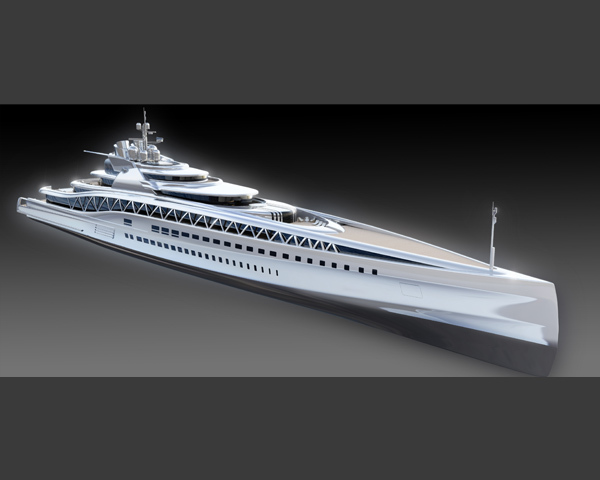 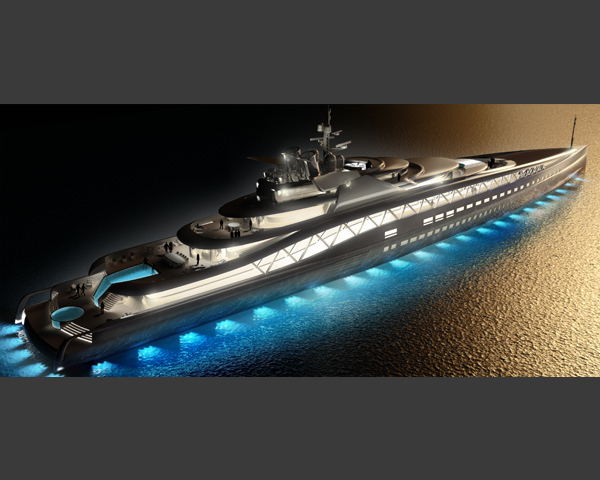 The largest super yacht builder in Italy, Fincantieri, selected Ken Freivokh Design to partner them in the development of an amazing 145m turbine powered super yacht. 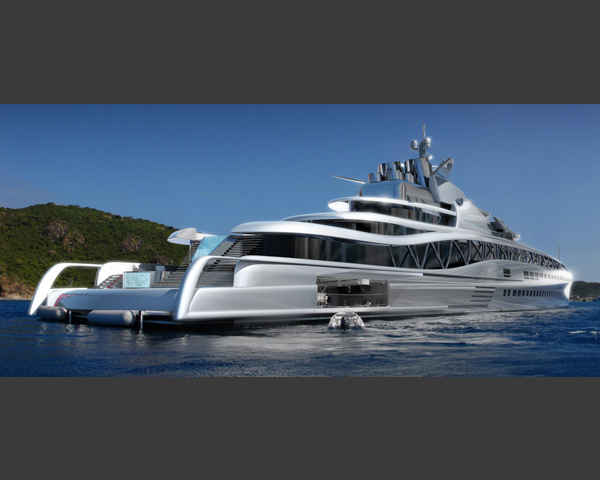 The 145m Fortissimo is all about effortless motion, long sight lines, the sensation of space, of speed of purity of line, the very special sensation which is the invisible by-product of perfect proportions, the transparency between interior and exterior, the interplay of levels, the handsome triple height atrium, the treatment of the yacht as a proper transportation machine communicating the structure and the direct relationship with the sea. 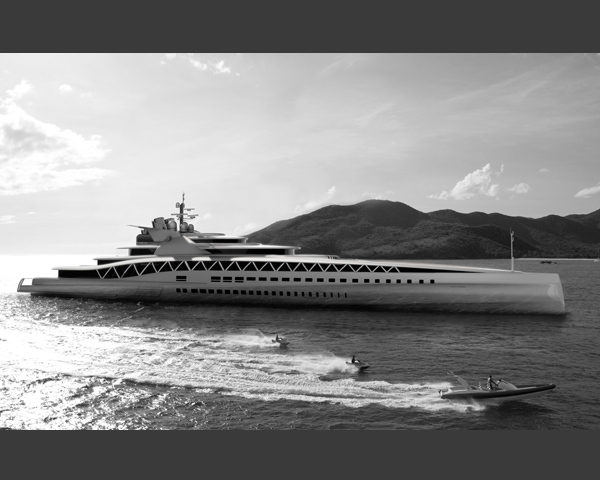 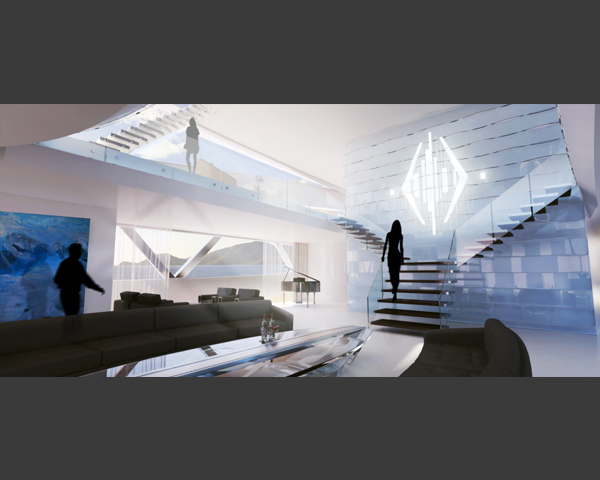 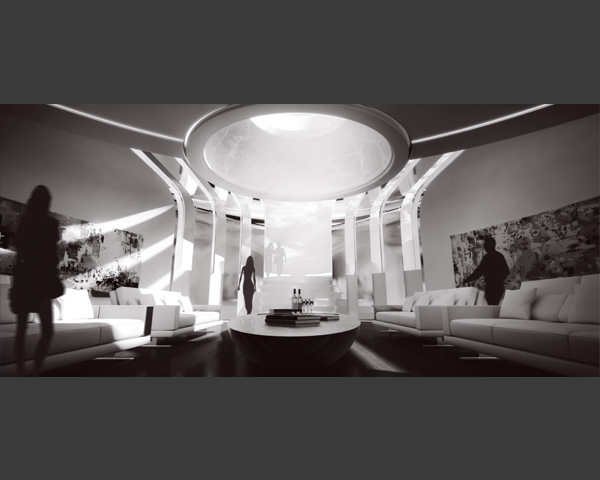 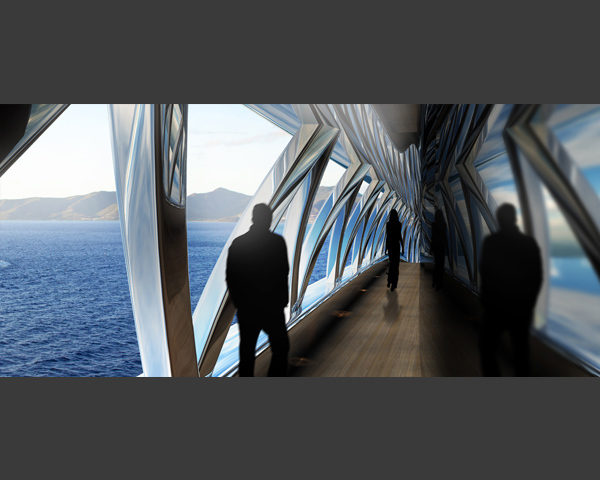 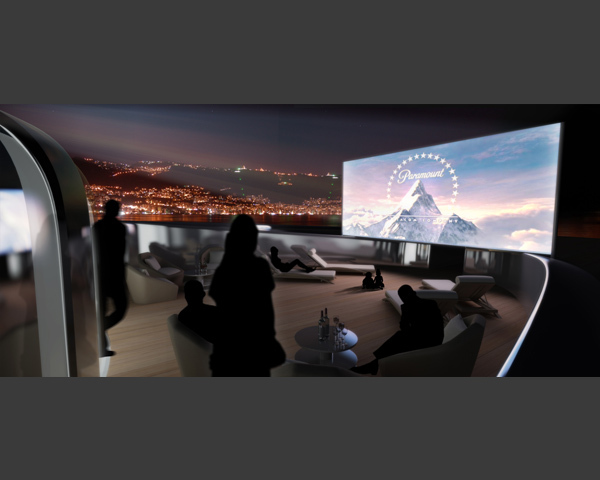 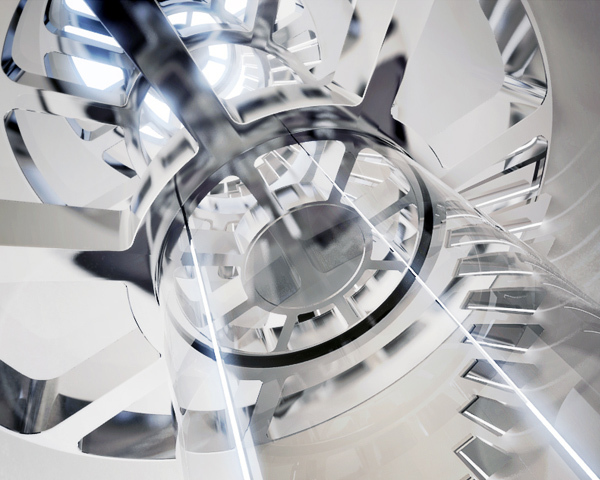 The inspiration was definitely structure based – it is essentially a very large, very long yacht, very much an ocean going vessel, to be subjected to stresses which require a sound structural solution. 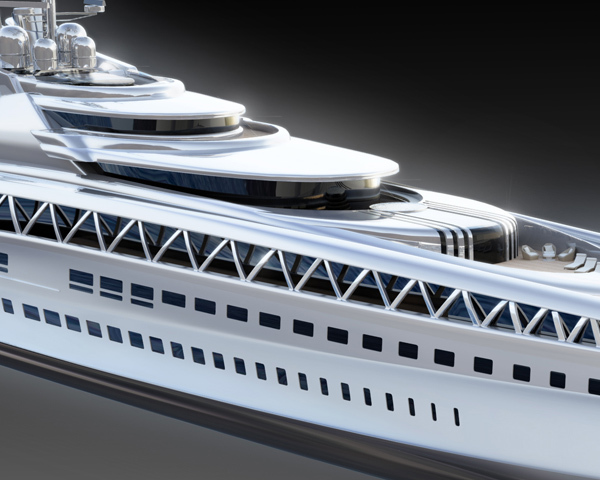 Rather than rely on the conventional internal structures which are mainly reinforcements to the hull and deck plating, the idea is to have the equivalent of a space frame structure which is much more efficient, and would leave the hull and deck to be calculated simply as the skin of the yacht. 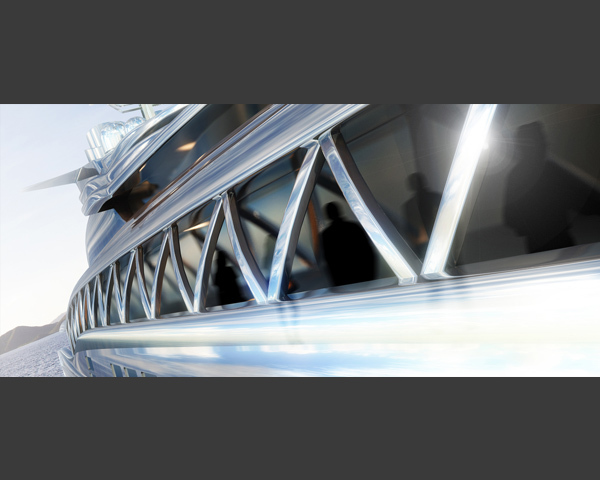 This concept extends to the side decks, where traditionally one would find the normal overhangs over the passageways, with the occasional styled fashion plate. 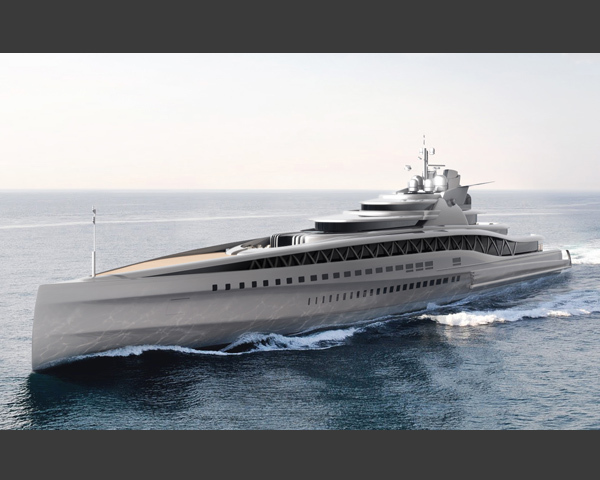 Instead, a more elegant solution has been found, whereby the hull and deck are treated as part of the same major structure, with what effectively is the equivalent of a Vierendeel beam linking both and adding strength as well as visual excitement.